As my blue moonlight oil painting is taking shape I know that the first step for creating a successful piece of artwork is the concept and composition of the oil painting. Once that step is done I have started painting the background of the sky and the reflection of the sky in the water for this marine oil painting. Everything tends to look more grey in a moonlight painting so I have greyed down the blue with a complementary color (burnt sienna). Never use equal amounts of the two colors or you will get a muddy color. 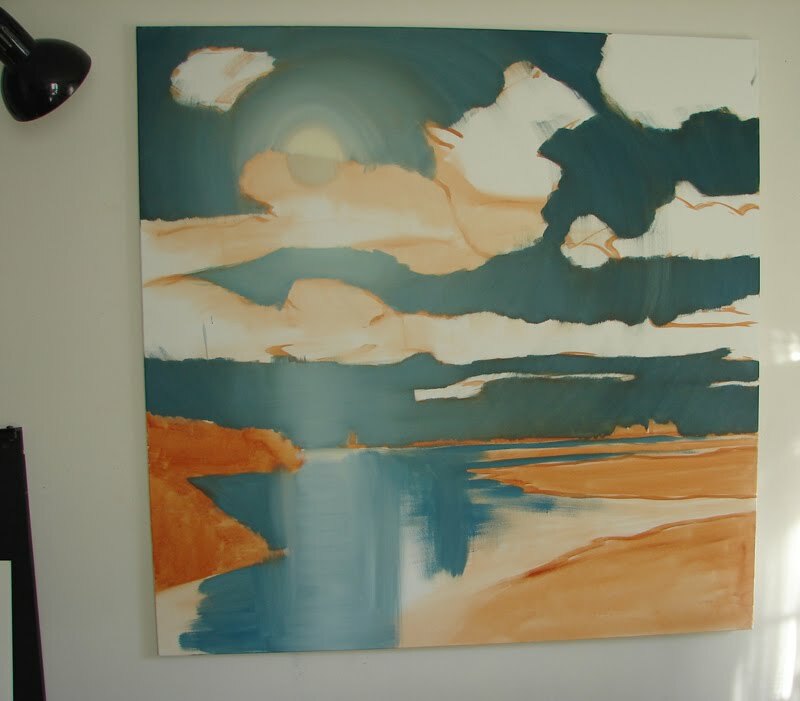 This painting is very large, 4′ by 4′ canvas so I am using big brushes to lay in the initial color. Check back for my progress in painting a moonlit scene in oil paint and for painting tips in moonlight oil paintings. PAINTING TIP I have greyed down the blue with a complementary color (burnt sienna). You may think of burnt sienna as a brown but it is more orange than brown and orange is the complement of blue. Never use equal amounts of the two colors or you will get a muddy color.